An app can change your life. Harrison is the wheelchair-bound CEO of a mobility charity. With a passion for helping others, he rarely pauses to consider himself or his own needs. It’s far easier to work himself to the bone. It’s hard to admit what he really desires - someone to invest as much time in him as he invests in everyone else. Kade is a physical therapist, a young man who laughs in the face of the dark side of life. Though he’s had some trouble getting started, Kade’s managed to keep a positive light no matter what. 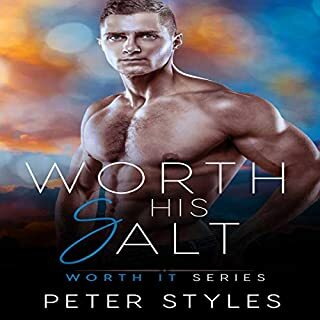 Alpha Pat Tessera always gets what he wants - and after all these years - he still wants Elias. When destiny steps in and forces the two to work together on a case, their passion and old feelings come back. But Elias harbors a secret that could ruin everything they've worked to rekindle. But with a baby on the way, the men must reconcile their broken hearts for the family they've always wanted. Can they find a way to forgive the past and build a future together? 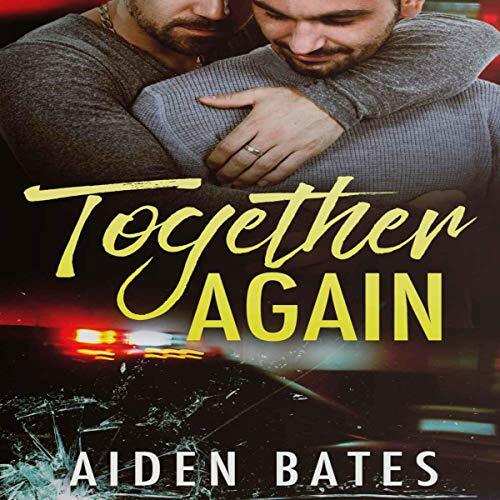 Together Again is the sixth, steamy gay mpreg romance novel in the Never Too Late series. 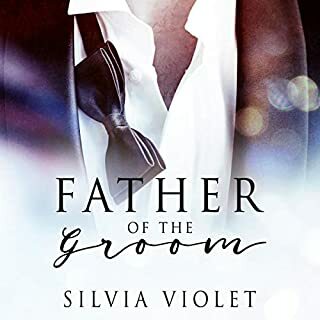 Although written in a series, it stands tall and hard on its own, but listening to it along with the others will only increase your interest and desire with a second-chance romance and a loving, hot pregnant man. It's "never too late' to embark upon a new and exciting genre. Fantastic Book and Beautiful Couple! Pat and Elias were a couple for years in college and broke up over a misunderstanding. It was a bad breakup. Both guys still loved each other but never wanted to see each other again. Pat became a very good state police detective and Elias became very important and well known investigator with "HomeSafe" locating and helping children who have been taken. They both end up on the same child abduction case and are forced to work together. The sparks fly and they haven't killed each other yet. Neither man has really moved on in 10 years. The pull between them is strong and they end up in bed. Both of them have never been happier, but they both worry that they don't have anything to offer the other. Elias becomes pregnant and freaks, but Pat is there to calm him. Can these two work out the old issues and move forward? Can they have the family they always wanted? Let us see. This is a Beautiful Story. You'll love this so much. Please give this one a listen. It's so so worth it. This is Pat's story. Pat fell in love with his college boyfriend 10 years ago. The relationship ended on bad terms and left Pat with a bitter heart. He never was a relationship and will never ask for help. Elias never wants to see his ex again. When his job takes him back to the to the area he figures that chance of seeing is ex are low. The narrator is pretty good. In an audiobook, the narrator can make or break the story. The voice was smooth and natural like. The story is sweet with a happy ending. The person that did the narrative for the characters, made them come alive. The story is suspenseful and keeps you on the edge wondering what is going to happen next. This is my favorite of the series. Elias and Pat are a couple that broke up years ago and get thrown back together to solve a mystery/crime. It pulls you in from the beginning and keeps you hooked until the end. Zeman’s narration is perfect for this story and these characters! This series is my favorite out of all of Aiden Bates' books. This book is my favorite of the series, so I was really happy when it hit audio. This book is low angst, great story, well written characters with a classic Bates HEA. There really isn't anything not to love about this story. So I wasn't sure if I'd end up liking Pat in the end with all his self doubt and the way he treated Ellis but he grew on me and in the end I was glad they were able to work through everything for so much more than expected. I'm kinda sad that the time jump happened, because it would have been interesting to know what happened, but to keep the book to a normal length it had to happen. I really want to know more of what happens with everyone!!! I have to stop typing now or I'll ruin it with names and questions lol. Beautiful second chance love story. Second chance romances is a trope that is hit or miss for me. Sometimes it is just to angsty for me to enjoy but Together Again was a good one. I liked that Pat wasn’t too aggressive towards Elias. Both men were a bit stubborn but the finally got their HEA. Warren Zeman did a good with the narration of this story. I enjoyed the cadiance of his voice and the flow was very nice. He made it easy to become engrossed in the story.